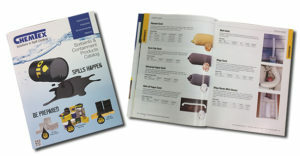 For The Spill Control Industry! Safety First! Companies are responsible for maintaining a clean and safe workplace for their employees. They are also responsible for protecting our environment, especially when working with petroleum liquids and hazardous chemicals. This means having a proper spill control plan in place at all times. Chemtex helps companies comply with all of the above by manufacturing a variety of premium meltblown polypropylene sorbent products, including sorbent pads, rolls, booms, socks, pillows and spill kits. These items and more are used in day-to-day MRO applications for catching drips and leaks and for major catastrophic incidents by oil spill response organizations all over the world.